How many times have you found yourself lacking time for relaxing? This is no wonder because modern time requires from an average man to dedicate most of his time to work, with little to no hours for hobbies. 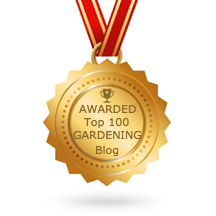 Many find stress relief in plants and gardening. 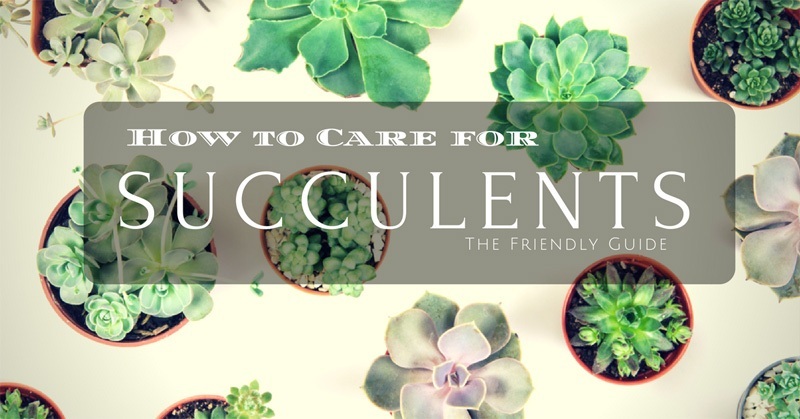 Succulent plants provide a good balance between enjoyment and care. Therefore they become trendy. Because of their base requirements, they have shown to be very grateful. Still, this doesn't mean that you can leave them be. This is the guide on how to be a successful succulent grower. What kind of soil should you have? How much sunlight should it get? How much and how often you should water it? Which pests may harm succulent plants? These plants can be found in the wilderness all over the world. Their natural habitats are dry and arid areas, such as deserts, so their water requirements are quite low. During evolution process, those plants gained an ability to store water supplies in their thick and leathery leaves, which helps them to survive harsh conditions. Perhaps the most famous of this group of plants are cactuses and aloe family. The first is known to be used for decoration for a long time, while the others are used in pharmacy, because of their healing properties. Aloe vera based creams and shampoos are making the foundation of the beauty industry these days. All of the species of succulent plants benefit the most from well drained and sweet or at least low pH value ground. The Echeveria is the only exception here because it will require an acidic type of soil. In order to prepare the soil the proper manner, checking pH value should be your first step. The method is not that challenging, and you should perform it under an hour. On the other hand, if you are planning to keep your plants indoor, in a pot, you will have to buy soil which is usually neutral. Just to be sure, when you visit the Garden Center, ask employees there to give you advice on which soil to use. To make the ground dry and drained, we recommend making several layers of soil, mixing sand and coal, with the addition of pebbles on top of it. This will make water run fast toward lower layers, so the roots will not rot, and the plant will not die out. As we said, succulents thrive in dry areas, such as deserts. To grow them successfully, you need to mimic those conditions the best you can. In other words, your plant will require at least half a day of sunlight, but it is preferable to be a full day. In case that climate in your area is known for extremely high temperatures, shade in the afternoon is recommended. Succulents require very small amount of water to survive. This means that watering every day will kill the plant within days. It is best recommended to water it a bit more, only once per week. This way the extra water will not be contained within the soil, and again, the plant will not die from lack of it. Overall advice is to water your plants (and not just succulents) early in the morning or late in the evening, with the first approach more preferable. This is because the soil is cold, and the water will remain at the same temperature. If the soil is extremely heated, the water will heat up and evaporate, and ultimately “cook” the roots of the plant, thus killing it. As with everything else, little fertilizer is required for succulents. You can always buy fertilizer specially made for succulents, and apply it once a month. This will maintain the nutrients levels at optimal range. Slow release fertilizers are not recommended to be used, because of their long "working time." They keep releasing nutrients for the whole time. This will lead to burns on the plant, and if left unattended, the plant will die out eventually. There is one approach which I have found to be useful. Making a “tea” out of manure and water gives you mild and favorable fertilizer. You can water the plant with this mixture, without the fear of over fertilizing. As being in the open air, succulent plants are exposed to different influences, which can vary from certain bugs to diseases. In any case, the best defense against those is prevention and a good eye. This means that you should pay attention to any change on your plants, and to act without delay. If you notice that one of the plants is affected, you should separate it physically and put it into quarantine. If the situation escalates, you must bring in some heavy guns, which usually means insecticide. It may happen that insecticide will be toxic for your plant, so you should choose carefully. Today, one of the best insecticides is considered to be imidacloprid, because it imitates nicotine which is lethal for certain bugs, including termites, without damage to the plant. In any case, if you are uncertain on which one to choose, you can always give a call to your local Gardening Center, and ask for assistance. With all those things said, we can conclude that succulents are beautiful plants, which will not require a lot of your time but will give a lot in return. Still, you must take good care about them, and not neglect them. In any case, we would love to hear your opinion as well as experiences with these plants, so feel free to share it in the comment section below.